The 17 mile distance along Highway 89 between the Fanny Bridge crossing of the Truckee River in Tahoe City, and Emerald Bay, is considered the West Shore. It’s home to thick forests of firs, cedars and sugar pines. 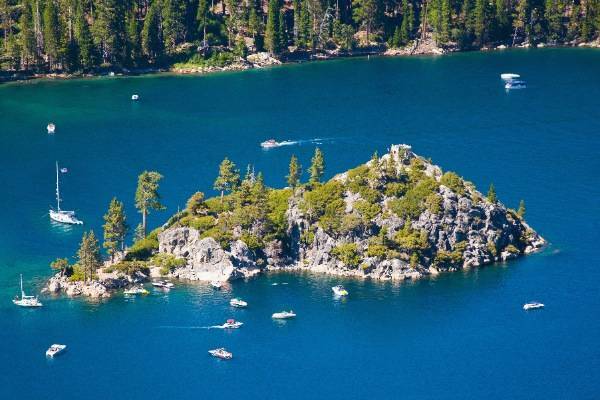 West Shore highlights include the Desolation Wilderness, a land of sparkling lakes and granite peaks, and the Pacific Crest Trail (PCT), which follows the crest of the Sierra along the West Shore as it heads towards Canada. 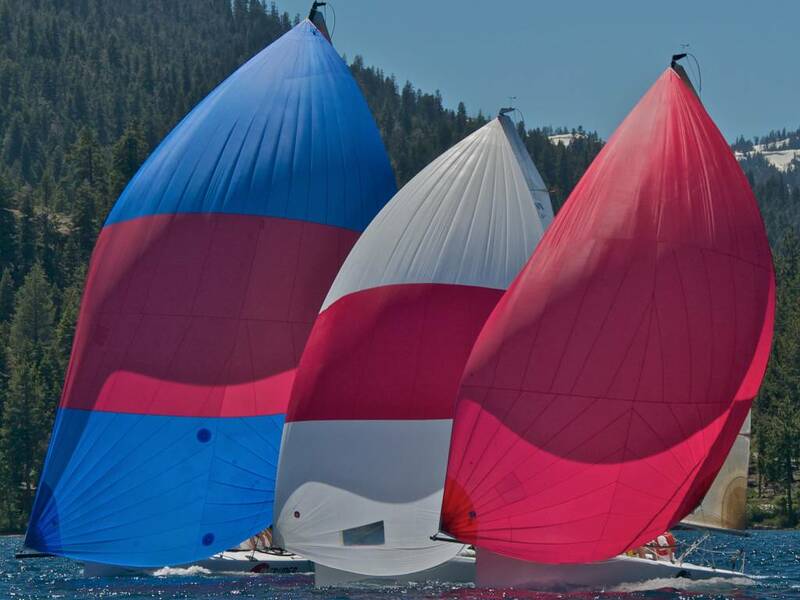 The prevailing winds in the Tahoe region in both winter and summer come from the Southwest. This leads to storms dumping copious quantities of snow on the West side of the lake. In the summer, the ridges just to the west of the lake block the prevailing winds, leaving a place of calm close to shore, while the winds may be howling further off-shore. This makes for good waterskiing close to shore, and good sailing further out. The Tahoe Rim Trail starts in Tahoe City and winds past Page Meadows and Ward Canyon, on it’s way to meet Twin Peaks, and a junction with the PCT. It’s all part of the west shores best network of mountain biking and running trails, and a place of fall colors and wildflowers. Riders looking for a more leisurely ride, can take the level bike trail from Tahoe City to Meeks Bay. Those with a bit more ambition, can take the beautiful seven mile climb on lightly traveled road through Blackwood Canyon to the top of Barker Pass. 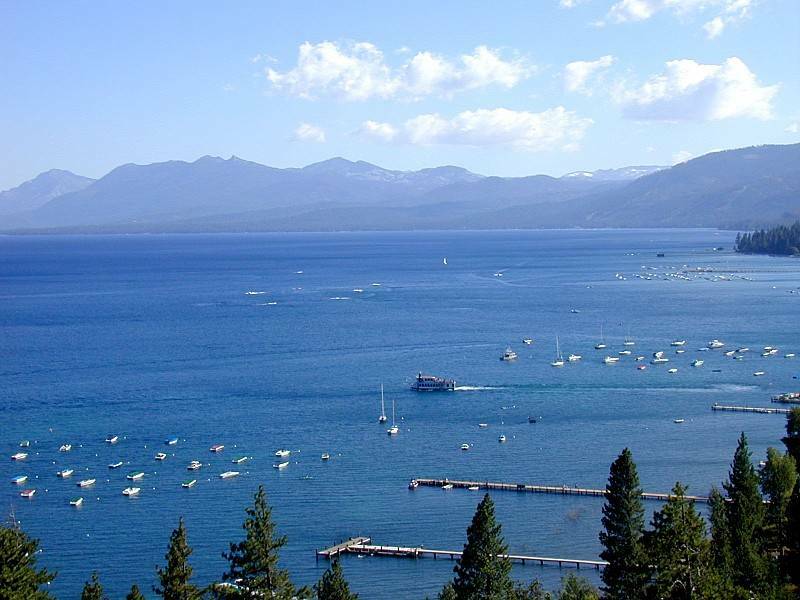 Several popular restaurants can be found in the Tahoe Park area just two miles from Tahoe City. The Firesign Cafe, is a perennial breakfast favorite, and Sunnyside Lodge, has a humongous lakeside deck, which is probably Tahoe’s best place to enjoy food and drink while experiencing the evening alpenglow. Otherwise, commercial development on the west shore is focused on the small communities of Tahoma, and Homewood, which provides it’s namesake ski area, a wind sheltered resort with some of the best views of Lake Tahoe available anywhere. 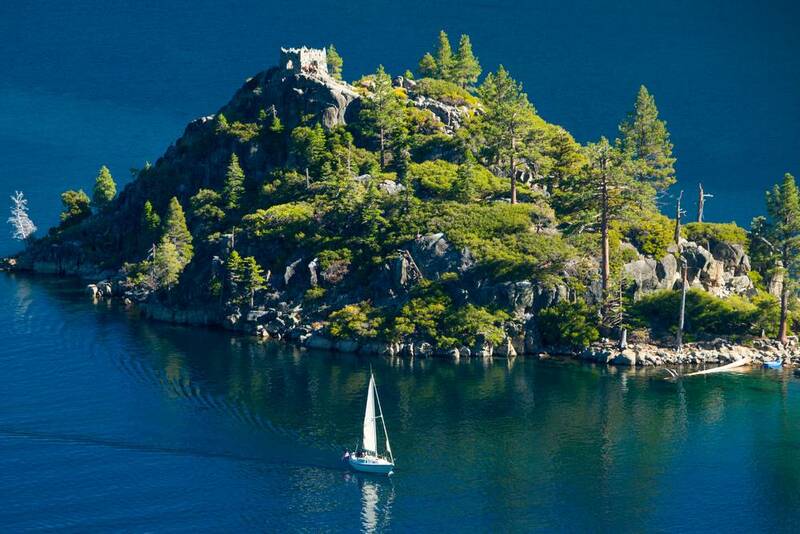 South of Tahoma, you find a series of three state parks: Sugar Pine, Bliss and Emerald Bay providing camping, lakeside hiking, sightseeing and awe inspiring sandy beaches. 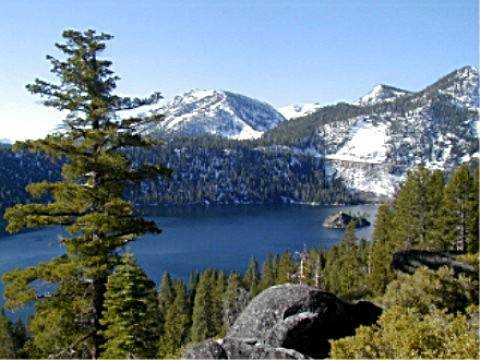 In the winter, Sugar Pine’s hiking trails become popular with cross-country skiers. Which makes sense, because these trails were the site of the Nordic ski events in the 1960 Winter Olympics.